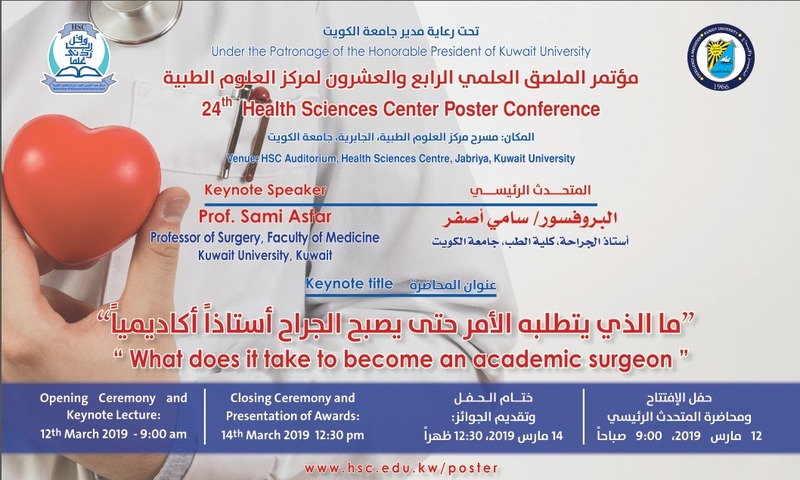 Strong research is a prerequisite for academic excellence, and this concept was clearly understood when the first Poster Day was held more than 20 years ago, in April 1996, in the Faculty of Medicine, Kuwait University. The founders of Poster Day started with a premise that scientific knowledge and therefore progress depends on investigation and critical analysis, and that exchange of ideas and information is an essential part of this continuous process. The Poster Day started with an aim of stimulating communication between scientists in various health-related specialties and has grown progressively to involve diverse scientific fields in all the faculties of the Health Sciences Centre (HSC). Message from the Chairperson, 24th HSC Poster Conference Organizing Committee. The Poster Day Conference initiated in 1996 has now become enshrined as an annual event in the HSC academic calendar. 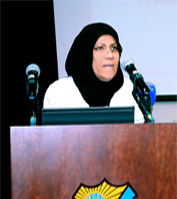 It is most heartening to see that it has been consistently supported by the active and enthusiastic participation of not only the researchers of the HSC and Science Faculties of the University but as well by other institutions and hospital departments in Kuwait, and even from some outside of the country.